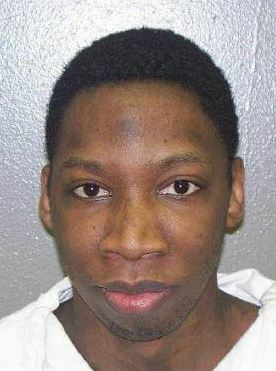 31 year old Alton Rodgers, a Black man imprisoned at the Clements Unit in Amarillo, Texas, died on January 19, 2016, at the Northwest Texas Hospital in Amarillo. He was found unconscious in his cell the day before by guards. According to the autopsy reports; the official cause of death was bleeding of the brain and skull fracture caused by blunt force trauma. He was also covered in bedsores and in a state of acute starvation and dehydrated. According to officials, Rodgers and his cellmate were involved in a fight during which they claim Rodgers suffered his head injury. With this narrative set, officials have focused on investigating and treating Rodgers’ death as a homicide committed by his cellmate. But as the media has pointed out, the head trauma could have happened before the altercation. This and other facts such as Rodgers’ physical condition are complicating the story officials want to maintain. Particularly the fact that the bedsores showed that he’d been lying unattended for weeks, during which time he’d slowly wasted away. Which meant prison officials were at least in part responsible for his death, and therefore as liable as they were trying to make his cellmate, if not more so. And the liability could extend as far up as the Director’s office of the Texas Department of Criminal Justice (TDCJ) [sic!]. So, a mild in-house “investigation” of staff was staged. Not a criminal investigation, mind you, but one obviously addressed to “fixing” those inconvenient details, giving an impression of administrative discipline of those found responsible (but not of Rodgers’ death of course), and minimizing and tightening the circle of officials found responsible and liable. In short, it was an exercise in damage control. Since I’ve been imprisoned at Clements Unit as this entire situation unfolded, I’ve borne witness to much of it. At the time of Rodgers’ death TDCJ director Brad Livingston and various guards and medical staff at Clements Unit had just been sued by the families of two prisoners who’d died at the Unit as a result of neglect by medical staff and guards. In fact I contributed to and wrote articles about those killings, and brought those incidents and material evidence and witnesses to the attention of the attorney who brought those lawsuits. This is likely why Livingston’s office was sensitive to the fact of distancing itself from responsibility in yet another prisoner death at the same Unit, and making itself appear to have pinpointed those who were liable and punished them. He also saw need to change around the administration of the Unit which those lawsuits showed to be notorious for violent abuses of its prisoners. So in the wake of Rodgers’ death and an investigation bearing down on them, Clements Unit staff became suddenly over-zealous about conducting required cell checks in solitary confinement (long-term segregation), where Rodgers and I were confined, every 30 minutes. Also, in performing required identification checks twice daily of all prisoners which involved making certain that each is alive and active, and doing routine cell inspections and searches during which each cell’s occupants are handcuffed and brought out of their cells. If any of these things had been conducted properly before, Rodgers would have been discovered in his unresponsive state long before he’d deteriorated to the point that he had when he died. As a result of the limited staff investigation 18 officials at the unit were “disciplined”, which included suspensions, and the warden and assistant warden conveniently retired and resigned. The entire staff were walking on eggshells while the investigation was ongoing, and the prisoners were made to suffer for it. We were and in some respects continue to be awakened at all hours of the day and night by guards kicking and banging on our cell doors, and cursing us, to conduct cell checks, inspections and searches. Ranking officials (captains, lieutenants, and sergeants) began making rounds in the cellblocks during each shift, something one never saw before. Cell searches and inspections were conducted routinely, whereas previously, months would pass without any such activities. Many of the staff feared losing their jobs and what the investigation might reveal, and were vocal about it. But the investigation obviously didn’t dig too deeply, because much of what the staff did (and didn’t do) that actually facilitated Rodgers’ death wasn’t acted on. A large part of that was extensive falsification of prison records by multitudes of them, that made it appear as though Rodgers was up and about up to the very time he was discovered in a vegetated condition in his cell. The records falsifications were extreme and spanned the staff body. Rodgers was prescribed daily medications according to witnesses. But while he was clearly bedridden, medical staff were delivering his medications to his cell and documenting falsely that he was the one receiving and taking them; also that he never voiced any medical concerns, as if they were also inquiring after his well-being. Guards working his pod were documenting his receipt of his 3 daily meals, when he obviously wasn’t. A $39.98 commissary purchase of food items and snacks was made in his name shortly before he’d died. Clearly these records were falsified. Commissary purchases in segregation and “close custody” are filled by the prisoner turning in a list of ordered items along with his identification card to staff, the order is then brought to the prisoner’s cell by commissary staff the same day. He is then required to come to his cell door where his face is compared by that staff to his I.D. picture and he’s required to give his prison number. He then signs and places his thumbprint in black ink on the sales receipt which officials keep for records. The staffperson who processes and delivers the order is indicated by her/his initials on the receipt. The prisoner is then delivered the commissary order. Also, mental health staff were falsely documenting themselves as making weekly checks on Rodgers and finding him in good mental health. If any of these contacts with Rodgers had actually been made at any time during the weeks leading up to his death, he would have been discovered long before he deteriorated to the point that his state became critical. But all of these records were falsified. I and many other prisoners listened to the staff talking openly in our presence, but among themselves, (but often to us as well), admitting their wrongs and their consequent fear of the investigation’s outcome. When it was finally concluded, many of them were openly relieved. They’d gotten away scot-free; or with only a tap on the wrist. But Rodgers lost his life, and those of us who’ve been accused of taking human lives are vilified as monsters and resigned to the worst imaginable treatments and ostracism. Quite a few guards also remarked that Rodgers’ cellmate was found to be over 10 pounds heavier than previously recorded, on the day Rodgers was removed from the cell, implying that he’d been consuming more than his own share of food for awhile. On April 1, 2016, Aaron Davis, a reporter with the Amarillo-Globe News, wrote an article reporting on the findings of Rodgers’ final autopsy report. It indicated he was in an acute state of starvation and showed signs of pneumonia, but officials weren’t addressing any of this, but were instead focusing on the set narrative implicating his cellmate and absolving staff in his death. These were the concerns of Rodgers’s loved ones. As noted, officials’ aims have been to keep attention and responsibility focused on a convenient scapegoat (namely Rodgers’ cellmate), and off staff. Since starvation and pneumonia meant Rodgers had been left neglected by staff while in obvious physical distress, and his bedsores showed that multitudes of records had been falsified leading to his death. Which meant legal liability went far beyond his cellie, and in fact might even absolve him and instead implicate staff up to the highest ranking levels of the TDCJ. So the TDCJ responded quickly through its information officer Robert Hurst, who was cited in a follow-up article by Aaron Davis, dated April 5, which had this PR man denying that Rodgers was actually in a state of starvation stemming from neglect, but rather that he had been starving himself, since records showed that he’d made a commissary purchase and was receiving his meals. Remember the records he’s citing are the ones Clements Unit staff were falsifying. Hurst went on to refer to prior complaints made by Rodgers that staff were tampering with his food, to imply that this was the reason he had not been eating, namely his paranoid fear that his food was tainted. Hurst made no attempt to explain Rodgers’ bedsores which proved he’d been bedridden for quite some time, or of the head injury that had left him comatose. This because the objective was to counter anything that tended to deviate from the TDCJ’s established narrative and chosen scapegoat’s responsibility. There wasn’t and has never been any interest in revealing the truth of what happened to Rodgers and who’s to blame. In fact the goal was the exact opposite; to conceal the facts and maintain a narrative that shifted liability away from TDCJ officials, especially those at the highest levels. This is how the value system of U.S. officials works. They kill or contribute to the deaths of an imprisoned and powerless person, or otherwise a person of color, then close ranks and go to the greatest lengths to cover up and lie about what they’ve done, all the while manufacturing a narrative and managing a damage control campaign through in-house investigations that they completely control to manipulate the outcomes. The end result is they create the official version of the story which becomes the only publicized version of the story. What the common people get, however, is another unjustified death at the hands of a thoroughly unscrupulous and corrupt system that pretends to represent the interests of those it manipulates and rules over.